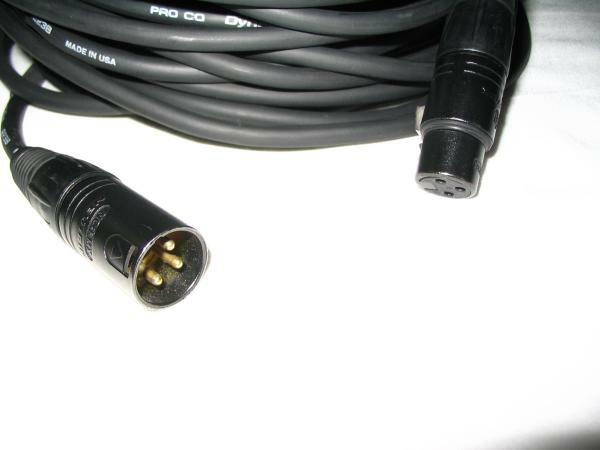 This is a high quality, barely used, mic/low impedence/balanced application cable. I used this to run a line from my DI to the board when I played bass in a cover band. It probably got 5 or 6 uses and then got coiled up in my cable case at home. It hasn't been used since. I don't know if Pro Co still makes this particular model, but it seems comparable (if not the same as) their current LifeLines MasterMike series. 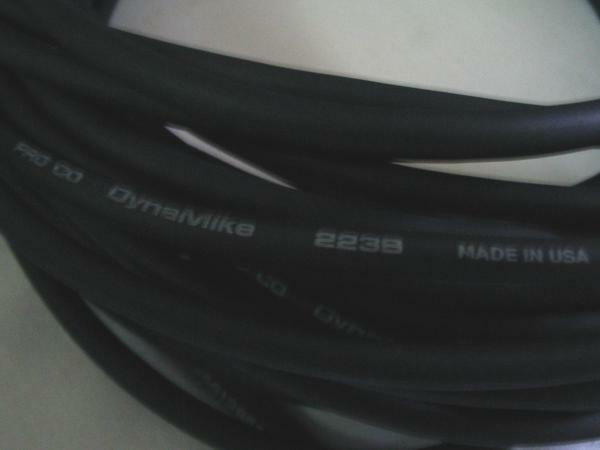 This cable uses the same USA-made DynaMike 223B wire and the black connectors. See the "Links" section below for more information from Pro Co about their mic cables, inclding the MaterMike series. I am a big fan of the Pro Co stuff -- especially the cables. I've had several of their mic cables, speaker cables, and even more of their guitar/patch cables. Quality construction and sound, regardless of the product line...never had any issues. Why am I selling? I no longer have an application that requires such a long XLR cable. As they say, I am "thinning the herd" and minimizing the gear I have on-hand to the bare essentials. 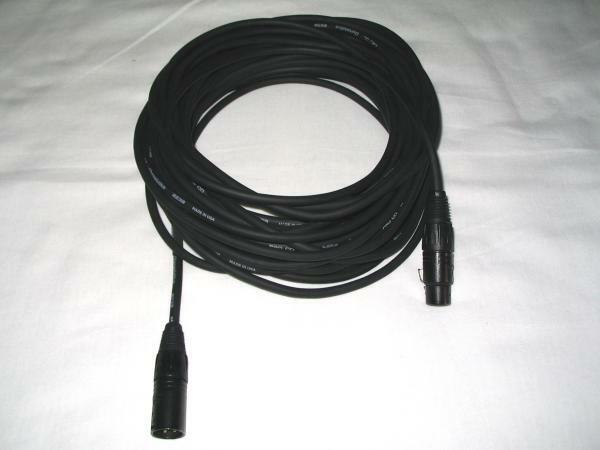 If you need a longer cable for mic or other low impedence/balanced use, this is the one to bid on. Anyway, my loss is your gain. At $1 starting and NO RESERVE, you can't go wrong! Current new retail price for a comparable quality cable is over $30. Please use the postage rate calculator at the bottom of this auction to determine your shipping cost. Shipping will be, depending on your location, between $4.75 to $9.00 USD for USPS Priority Shipping within the United States ONLY. I will insure your package for the purchase price of the item at no cost to you. I ship with a delivery confirmation (if applicable to the carrier) and I will email the delivery confirmation/tracking number once the item ships.